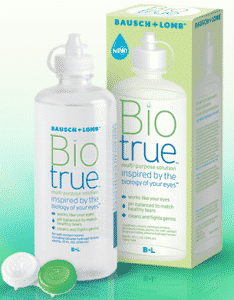 Click here to visit the Biotrue site and fill out the form to request a free sample of Biotrue. It looks like they’ll let your request a sample as long as you’re currently using any other brand. If you’re currently using Biotrue, they’ll enter your into a drawing for a $150 Spa certificate instead.